I arrived at Maroon Lake very early this morning only to find the two prominent peaks, both 14,000' tall, shrouded in clouds. I made my way to Crater Lake and back. In the late morning, the clouds began to disperse and Maroon Lake was calm. 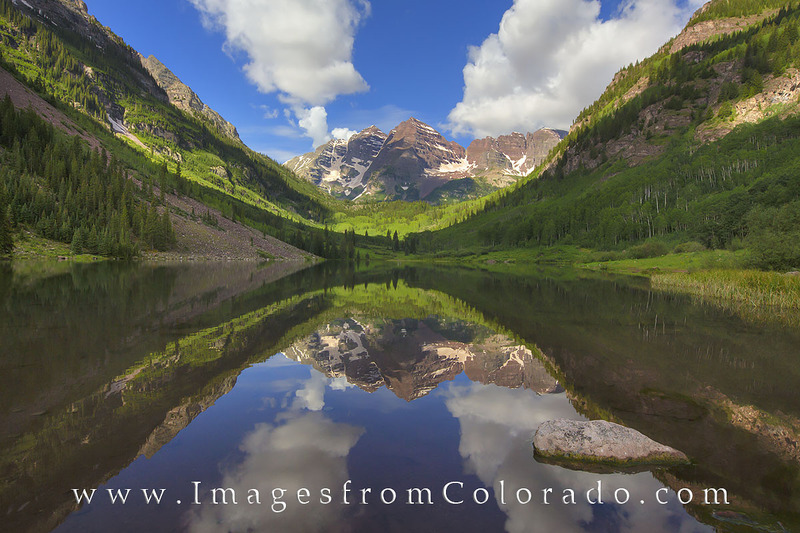 The reflections in the lake were amazing and I enjoyed this moment in the Rocky Mountains. Photo © copyright by Rob Greebon.